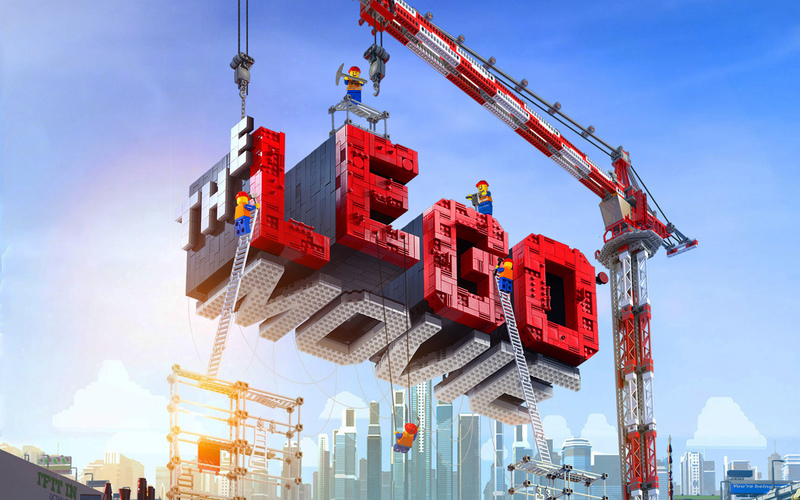 Lego Movie | What is Ann Watching? I saw this film today in 2D at the theatre with my daughters and 3 of their friends. The trailer had made me chuckle and the kids all love playing with LEGO, so I thought, why not. My exposure to LEGO as a kid was limited to when I visited friends at their homes. I remember enjoying it but there was never any longing for what was then and remains an expensive toy. It was never a consideration to even ask for LEGO. Growing up, our means were limited. Those choking hazards held no interest when my younger siblings grew past that stage. I guess that was my long-winded way of saying that I approached this film with no nostalgia whatsoever. I was pleasantly surprised. The LEGO Movie was a good film for all ages. It was very meta and poked fun at many Hollywood cliches. Without getting too spoilery, this film reminded me of Toy Story (not quite of that calibre but pretty darn close). The LEGO toys had a “life” of their own while they simultaneously existed to amuse a human. Most of the film was spent in the LEGO world where the evil villain ruler Lord Business threatened to end the world as it was known in order that it existed in a new way that satisfied his notion of conformity and order. However, there was a prophecy of a special one who will find the “piece of resistance” that would thwart the villain’s top-secret weapon known as the KRAGLE. So when a generic construction mini-figure named Emmet (Chris Pratt) found said piece and yet lacked the prerequisite special skills, the resistance fighters/master builders (Batman, a wizard and a woman named Wylstyle/Lucy) were ready to lend a hand. That Emmet was a construction drone who followed the rules/instructions, wasn’t necessarily a bad thing. This film managed a delicate balance that mirrored two opposite approaches to playing with LEGO. That is, do you only build using kits and instructions or do you grab a bunch of random blocks and see what you come up with? Surely a creative LEGO world can embrace both building cultures? Well, not if Lord Business had his way and managed to unleash the KRAGLE. Was this movie predictable? Oh yes it was. Was it full of cliches? Definitely and unashamedly. Was it tremendously fun with imaginative action and chase sequences? You bet! But for a movie that could have been a boring 90 minute advertisement for toys, this film was built (see what I did there, hehe) with more attention to detail than I expected it to have. The humour worked on many levels. The voice acting was tremendous, especially Morgan Freeman (wizard named Vitruvius) and Will Arnett (Batman). The animation was superb and the live action sequences were brief, enough to make the intended point of contrast. It was a hit with us all and the smiles I saw exiting the theatre suggested we were not alone in that sentiment.